Sung and spoken play, the Pastorale du Rampèu is traditionally performed in Provence during year's end celebrations. "La Meravihouso Veihado" written by Charles Martin in the 50's is a real institution. 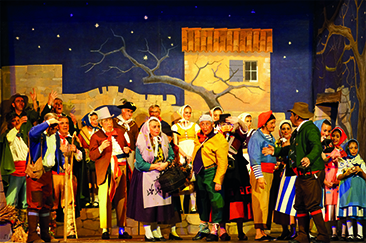 The "Lou Rampèu de Sant Troupès" troupe pays homage to it and invites you to discover the old Christmas which respects the Provencal tradition with its costumes, its staging and its worked sets.